In only a few months or two, we’ll be moving into our new loft apartment! So it’s about time to get some things on paper. Talking about: the wishlist! 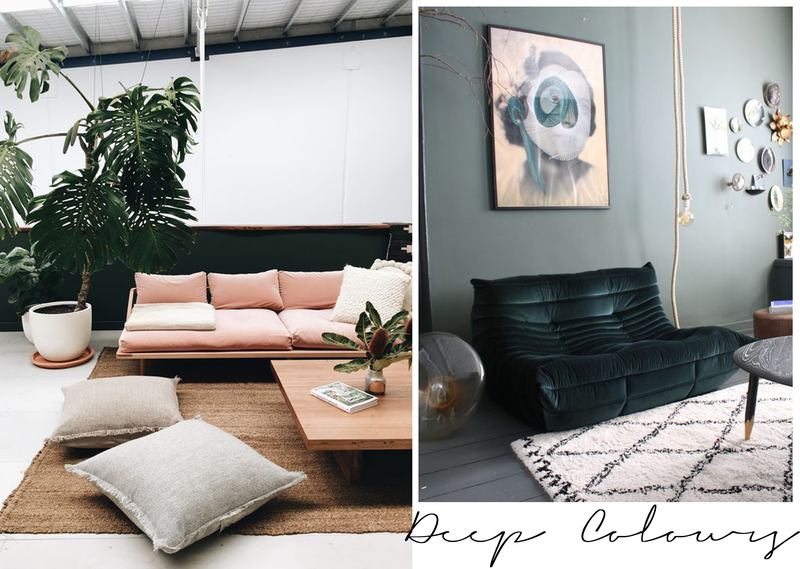 When working for a interior design shop, you’ll easily get an inspiration overload and a killer of a wishlist. But since I haven’t find that money-tree yet, I’ll adjust my wishlist with vintage, low budget, design and mainstream brands. 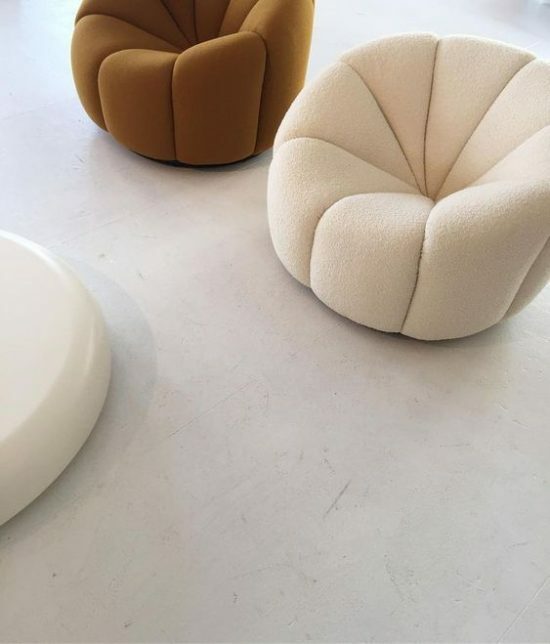 We don’t have the space to place an ultra big sofa, so a lounge chair might be a good option. Especially those old vintage cocktail chairs in velvet fabrics! So I’ll keep searching 2nd hand shops, marktplaats and the internet for the perfect one! 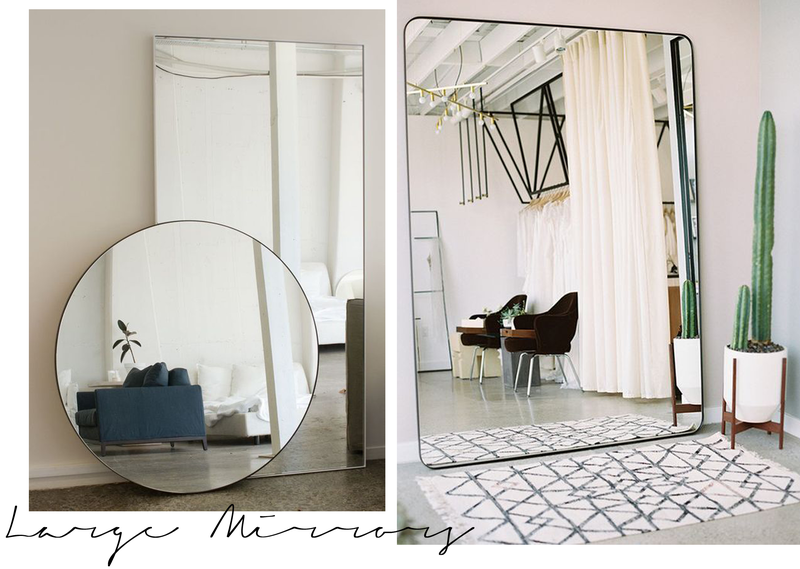 This has been on my wishlist for quite a while now: large mirrors! I would really love a round one with a diameter of at least 1 meter. I hope to find a second hand mirror, because this size is hard to find at lower budget! All tips are welcome though! 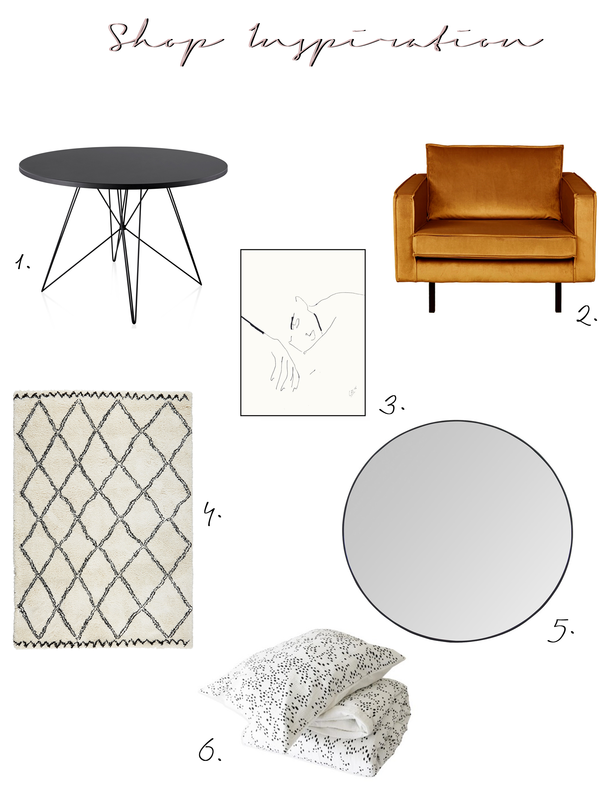 When you ask me what my style of interior is, it’s Scandinavian mixed with industrial. There has been a change in that style though! 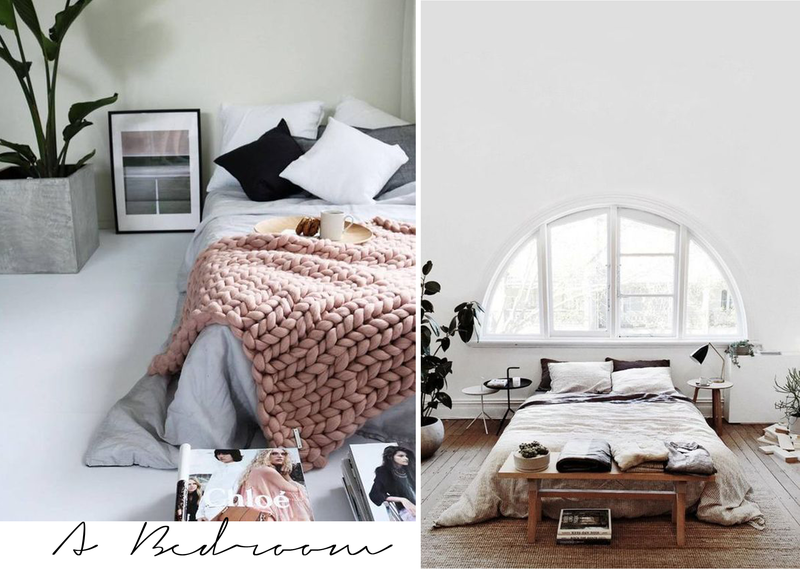 When thinking about Scandinavian interiors you might think of the all-white clean and minimalistic spaces. That there has been changed, since deeper colours and warm tones are mixed with natural materials like wood. 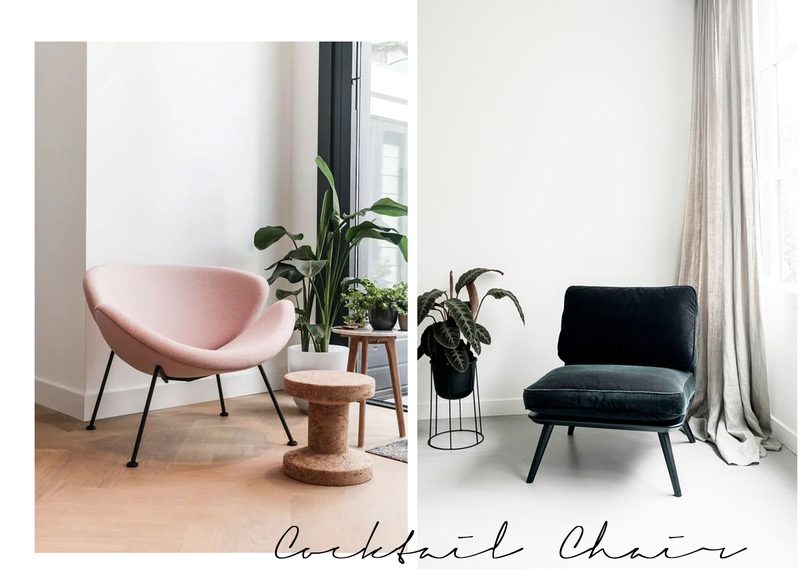 I would really love to combine the functional and esthetic Scandinavian style with deep colours like the ones above. 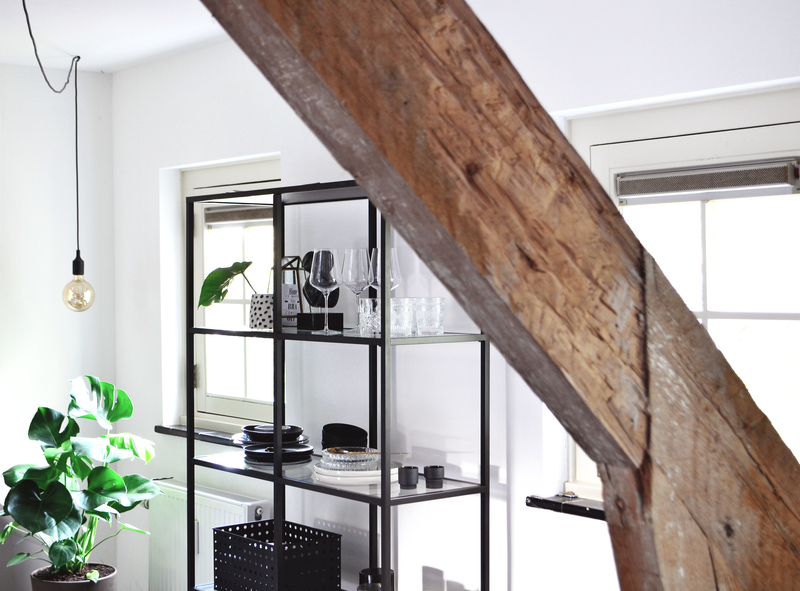 Theobert Pot does this perfectly in his interior – see photo on the right. And oh yes… that pink sofa please! 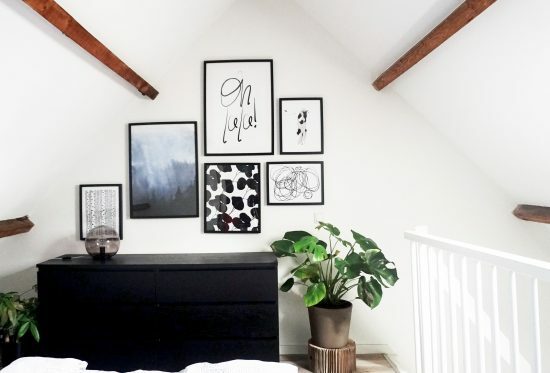 Another thing on the loft apartment – wishlist, is more art! I have two posters at the moment, one urban botanic poster and an Andy Warhol quote. But I might want to invest more in art! 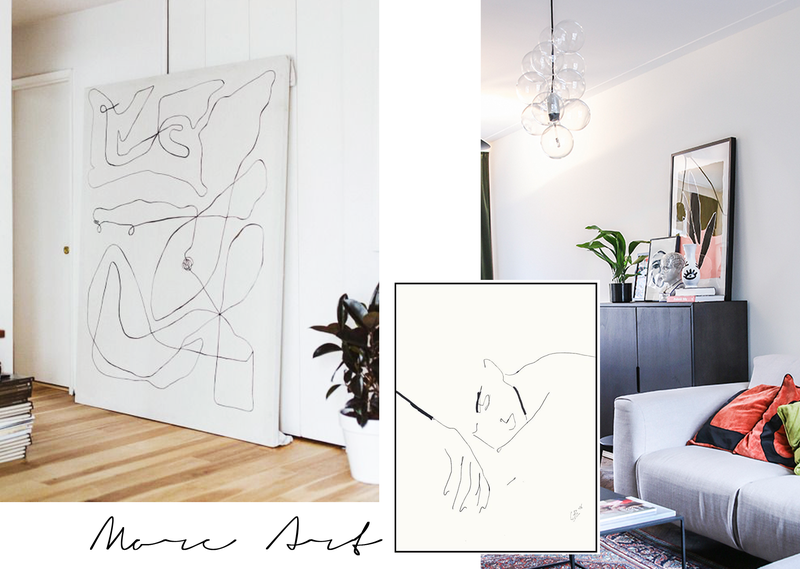 Like the beau-ti-ful illustrations by Cate Adriana – the middle + right on photo above! Certainly check her out, she is awesome! Isn’t that just a basic thing or need? Yes! But the past years we lived in a small studio in the city centre, with just one room to eat, sleep, cook and chill, and a DIY room divider to keep it seperate. We have a small bathroom, storage and separate toilet too, but that was about it. 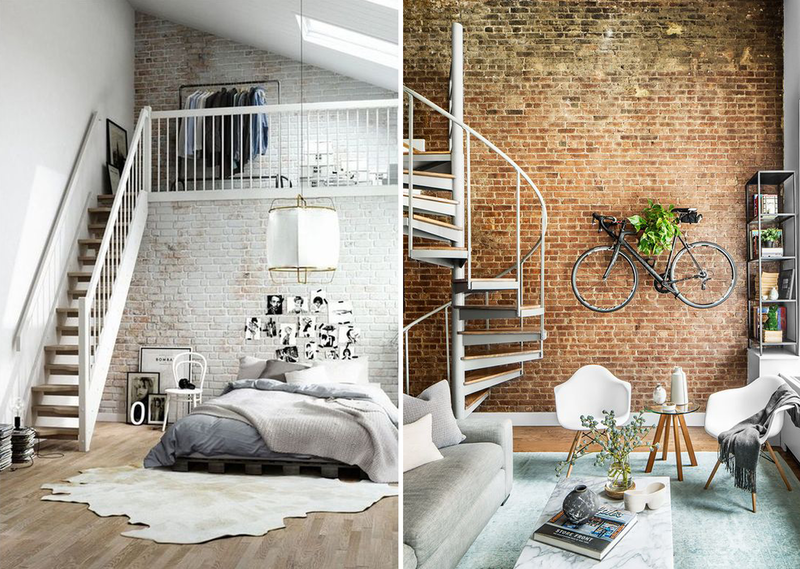 Now, a loft apartment is an open space too, but with the bedroom being upstairs it has more of a real-bedroom-feel. So when having dinner, we don’t see our bed, hooray! Another frustration at the moment: our dining table. When we moved in here, we bought a bar table with high stools (see here), to save up some space. But after almost 3 years, I would love to sit at a normal (hight) dining table. When you’re working on your macbook for a few hours, the high stools are getting annoying after a while. So a new dining table might come in handy. 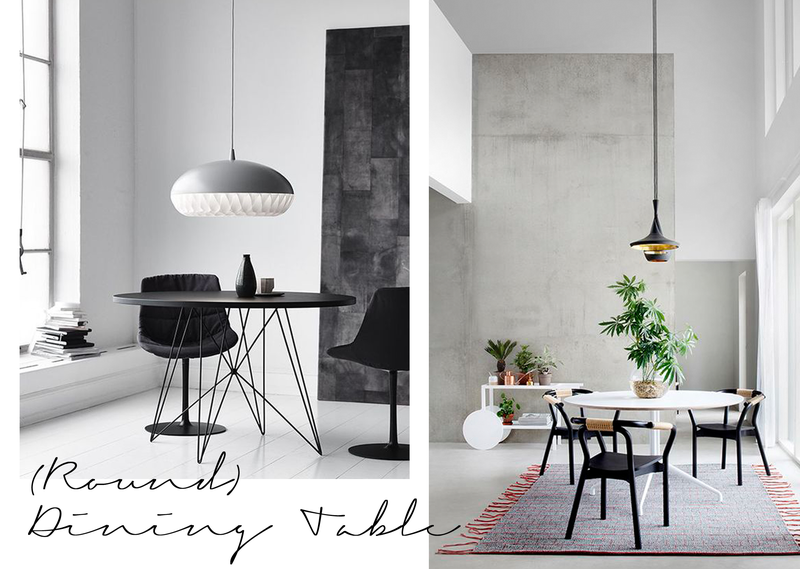 Like the design table Tavolo XZ3 (left on photo above), which is on my loft apartment – wishlist for a while now!